Russian Deputy Foreign Minister Sergey Ryabkov calls America’s CAATSA legislation ‘arbitrary’, says it targets ‘legitimate forms of international cooperation’. New Delhi: Russia is confident that it will be able to deliver the S-400 Triumf air-defence missiles as per the schedule agreed with India, and has rejected the US threat to impose sanctions on India under the CAATSA (Countering America’s Adversaries Through Sanctions Act) legislation. “We will deliver the S-400 missiles to India as per the schedule. We have had sanctions many times before but that has never impacted our defence deals,” Sergey Ryabkov, Russia’s Deputy Minister of Foreign Affairs, told ThePrint on the sidelines of the Raisina Dialogue organised by the Observer Research Foundation. Ryabkov, the minister in-charge for BRICS, non-proliferation and the US at Russia’s foreign ministry, also discussed the transactions involved between Russia and India in the $5 billion defence deal. “In terms of the payment mechanism, there is nothing sensational about it. I think the experts who are dealing with our military cooperation do have the tools in their hands,” Ryabkov said. “The nature of transactions is, of course, not something that is conducive to public discussion. The political message is important, though, and that is we want to be immune to arbitrary unilateral measures taken by some country against legitimate forms of international cooperation. 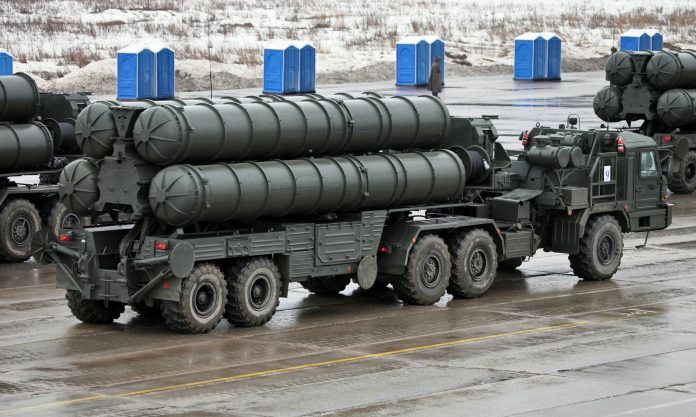 Defence experts consider the S-400 a cheaper and far more effective surface-to-air missile system than America’s decrepit and costly Patriot missile. In August last year, US President Donald Trump had signed the CAATSA legislation into law with the objective of punishing Moscow. The US has already imposed sanctions on China under CAATSA for purchasing Russian armament, including the S-400 missile defence system. While India has been able to deter the US — publicly stating that it will procure the S-400 from Russia — it has not been able to manage a presidential waiver for this. The waivers are considered on transaction-by-transaction basis. India is yet to make the payment for the S-400. The issue of obtaining a presidential waiver came up at the last meeting between India’s Defence Minister Nirmala Sitharaman and former US Defence Secretary James Mattis when she travelled to the US last December. According to sources, the chances of getting a waiver are much slimmer now after the exit of Mattis, as he understood India’s legacy of defence cooperation with the erstwhile Soviet Union and Russia. Earlier this week, Prime Minister Narendra Modi and Russian President Vladimir Putin had a telephonic conversation, where this issue is believed to have been discussed. Putin also invited Modi to take part in the Eastern Economic Forum in Vladivostok in September 2019 as the chief guest.